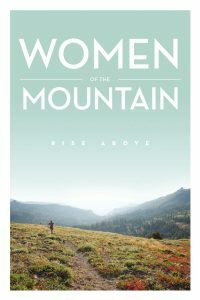 Women of the Mountain is a documentary that chronicles the immense power that comes from breaking free from generational cycles of abuse. In 2013, Rebecca’s maternal aunt died from the trauma caused by years of domestic abuse and left Rebecca with her then 11-year-old son. 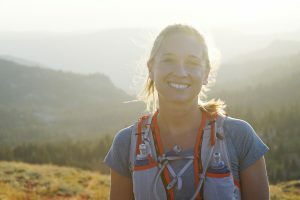 Rebecca knew it was time to return to her home in North Carolina and rural Appalachia to confront and film the complex cycles of abuse that killed two of her aunts, trapped her step-mother, and set her on a journey to run the longest ultramarathons on earth. Rebecca believes that we are not alone in our struggles and that people all across the globe are going through them, too. Women of the Mountain provides a platform to talk about those challenges and our shared vulnerabilities.Rebecca plans to debut Women of the Mountain at major film festivals in 2020, distribute it globally, and most importantly get the much-needed message of empowerment into schools, organizations, businesses and homes around the globe. The global support Women of the Mountain has received is truly remarkable. The support of private donors, Kickstarter, and in kind contributions have made this film possible. Every dollar raised goes directly to covering final shoots, editing, animation, music scores and developing the film’s social impact campaign. This story has been extremely hard to tell, but Rebecca knows that being quiet only perpetuates the cycle. She looks forward to sharing this story with you. Your support is greatly appreciated. Feel free to contact Rebecca at womenofthemountainfilm@gmail.com or on her cell phone at 336.508.5813.